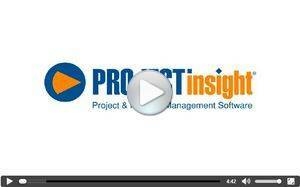 IRVINE, CA--(Marketwired - Mar 18, 2014) - Project management software provider Project Insight (www.projectinsight.net) announced today that its software has been successfully implemented by Resource Development Associates, Inc. (RDA). RDA is a mission-driven consulting firm involved in some of the nation's largest and most innovative human services initiatives. The company consults with city, county and state departments; school districts; foundations and non-profit agencies for specific services. As RDA expanded, management began to realize the system of Excel spreadsheets being used to track time, budgeting, work plan development and most business operations was becoming increasingly inadequate. They recognized that they needed project management software to standardize project processes, make more informed decisions and develop more accurate business forecasting. "Project managers had their own ways of doing things," explained senior operations manager Alison LaRue. "As a result, we had difficulty accurately assessing project status and resource allocation." Project Insight was recommended by a hired consultant because the software fit RDA's requirements and was within the target price range. Because all project managers would now be using the same project management software and project templates, the system effectively standardized the entire process, streamlined operations and allowed people to work more efficiently. "What we were looking for was value," LaRue said, "so we watched demos and got lots of information about Project Insight's software features and capabilities. Then we put together a plan for how we'd roll it out and train the staff." RDA was able to standardize work plan development and set sustained rules to promote project efficiency and growth with Project Insight. The company also reaped the benefits of the customizable reporting. Project managers are now able to deliver customized reports in seconds instead of days, allowing management to make better decisions and solve problems sooner. Since RDA is still expanding, Project Insight's built-in scalability makes it simple to roll out to more people within the company. About Resource Development Associates, Inc. Established in 1984, Resource Development Associates, Inc. (RDA) is a mission-driven consulting firm. They are committed to social and economic justice in every aspect of work. RDA's goal is to work with our clients and their communities to help them articulate, design, fund, implement, and evaluate their own best ideas. 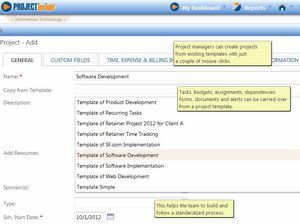 Project Templates in project management software, Project Insight. Learn about the features and benefits of Project Insight, project and portfolio management software, and how our software can help your organization operate more efficiently and productively.